Human Resources HR Software Applicant Tracking System Recruitment "EmployerBrand"
Why use an Applicant Tracking System. At the heart of every successful company, are skilled employees who help drive productivity and growth, however, for many hiring managers, attracting and recruiting these employees can be a challenging task, especially now there's a skills shortage in the UK. Low unemployment rates and the fallout of Brexit has resulted in a lack of skilled candidates, leaving hiring managers scrambling for the best talent as a result of poor candidate attraction and retention. With an Applicant Tracking System in place your organisation can maximise their chances of attracting, recruiting and retaining the candidates that are needed to help your organisation thrive and grow. 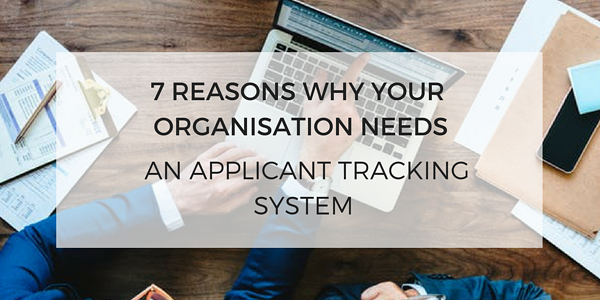 Below are the seven reasons on how Vacancy Filler’s Applicant Tracking System can help your organisation. As an HR manager, you want to make sure that you are hiring the right person for the job, after all, you don’t want to make the costly mistake of hiring the wrong person, but sorting, sifting and ranking through thousands of CVs and applications from many different sources, is extremely manual and time-consuming. The current average time it takes for an organisation to make a new hire is 28 days but this waiting period before a candidate starts, is where your candidate is a flight risk. Leaving a 4-week gap in communication could lead to your new hire being wooed by another organisation, or worse, a competitor. Reason why: With our centralised database, all applications are in one place making it much easier to manage. With handy tools such as candidate ranking and keyword search, you can easily streamline the process of filtering and screening each candidate, helping you to find the candidates that you need in a shorter amount of time. Keeping the communication all within one platform will help you to massively increase your efficiency and productivity; giving hiring managers more time to communicate and build up relationships with better quality candidates to ensure you are getting the right person for the role. The costs of recruitment, including advertisement and job board fees, are expensive. Add on the amount of time it takes to make a hire and you end up paying more than you would like to. Prolonging the time it takes to hire, will lead to you missing out on the most sought-after talent and wasting valuable resource. The longer a position remains vacant, the bigger the loss in productivity and turnover, and most worryingly of all, your existing staff will become burnt out from taking on extra workloads, further affecting productivity and increasing disengaged staff. A lengthy time per hire has to lead to organisations turning to recruitment agencies to help them source their talent. Whilst agencies will do the hard work for you in finding viable candidates, an over-reliance on these agencies can be quite costly, especially if you are hiring multiple times throughout the year. Hiring a new employee with a recruitment agency could cost around 20-30% of a new hire's salary, and that’s not including the costs incurred from training and onboarding your new employees. Even though agencies might provide you with a fantastic candidate, there could also be the odd occasion where a new employee does not work out, leaving you to spend yet more money on recruiting again for the same role. Reason why: As an Applicant Tracking System saves time, it also saves money by simplifying the hiring process. Hiring managers are not held back by vast amounts of admin and can instead be more productive and concentrate on more important tasks. It also streamlines the recruitment process helping you find quality candidates a lot sooner ensuring positions don’t remain vacant for long periods of time. With hiring managers being able to source, and build up a talent pool of quality candidates, you no longer need to rely on costly agencies. Additionally, because you already have a database of viable candidates you don’t need to spend as much on advertising fees. To find the best talent you need to reach the right people, but for many, this can be a challenge. You might be manually posting to a couple of job adverts or relying on agencies to source your candidates but how can you be sure that you’re getting access to as many quality candidates as possible? With the recent skills shortage, it has become even more difficult for organisations to access the best candidates, with many missing out and having to choose from lesser quality candidates. 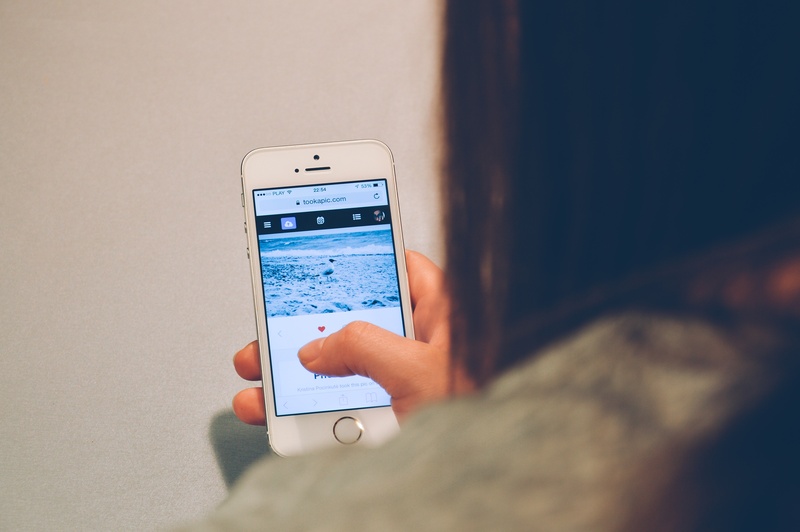 A lot of organisations are missing out due to ineffective and generic recruitment campaigns that are failing to entice their desired audience. From careers pages that only state generic statements, to job adverts that fail to explain what the role entails, an organisation could be struggling to attract the right people to their opportunities and as a result, are left with a limited pool of candidates. Reason why: An effective Applicant Tracking System has the tools to enable you to reach a much wider audience. Instead of taking time to manually post job adverts on individual job boards, with an ATS you only need to create a job advert once. Our ATS allows you to track where the best candidates are coming from so you will be able to see which job boards are working best for you and help you better target your adverts in future recruitment campaigns. Additionally, you can also integrate your job adverts on to your careers site and social media pages, by posting on these platforms, you can showcase your employer brand and build up relationships with a wider audience of prospective candidates from people who are already interested in your brand. Not only does it take a long time to manually sort and screen through hundreds of applicants to find the most suited candidate but the quality and quantity of communication are greatly affected too. You might start off by acknowledging every candidate, but as you receive more and more applications you might become too busy, leaving many candidates in the dark. For those who make it through to the interview stage, it can also be a problem to find mutually convenient times or to arrange feedback from hiring managers located in different offices. All of this can lead to a negative candidate experience, by not communicating and engaging properly at each stage of the recruitment journey could leave you at risk of damaging your relationship with your candidates and leaving them with a negative experience of your organisation and possibly result in the, pulling out of the process altogether. Reason why: However, with an Applicant Tracking System, all applicants are in one centralised database, with all candidates in one place, hiring managers can personally communicate easily with each candidate at each stage of the recruitment process. Through clear and simple instructions and guidelines, you can help your candidates throughout the application process, which is especially useful for candidates who might be applying for an opportunity in your industry for the first time. Having trouble getting back to each applicant? Simply set up an automated response and your applicant will receive a customisable acknowledgement once they have applied. As a candidate then goes through the recruitment process, you will be able to keep them up to date on their progress. For those who make it through the interview stage, there is an in-built interview selection module that lets candidates choose a convenient date from a selection of pre-planned dates. Feedback is also much easier to collate, with all hiring managers having access to one system, they can easily log in and leave their comments and ratings, letting the hiring manager get back to the candidate in a much quicker time, making for a more positive candidate experience. Finally, when you have chosen a candidate, you can keep them engaged throughout their notice period and prevent them being enticed elsewhere with an employee onboarding app, for more information on how to effectively engage with new hires click here. Candidates who receive a poor experience could be left with a negative outlook of your company that could tarnish your employer brand. Something as straightforward as not hearing back from an organisation or having to constantly rearrange an interview could leave your organisation in a bad light. Not only could they be put off from applying again in the future but they could also be potentially spreading their negative experiences on social media and company review sites such as Glassdoor, potentially putting off other quality candidates from applying. They might also be put off from being customers too. Reason why: With an Applicant Tracking System, you can ensure candidates are receiving positive experiences at every stage of the application process. Instead of receiving negative feedback that deters potential candidates you will have brand ambassadors that speak highly or your candidate journey which can go a long way in encouraging quality candidates to apply to your organisation. An Application Tracking System also allows for a fully branded applicant journey, from branded job adverts, application forms and applicant gateways you can ensure that your brand is consistent throughout the application process making for a more pleasant and less confusing journey. Recruitment is obviously not a one-time event, for many organisations, it happens multiple times a year leaving a major drain on resources and time sourcing and screening multiple candidates. The only downfall to manual recruitment processes is that the planning is not as streamlined or as automated as one might hope for. For example, you might have found a fantastic candidate in a previous recruitment campaign who just missed the mark, but now have a new position and feel that this person would be ideal for the role. However, after many hours of searching, you are struggling to find this candidates details amongst multiple spreadsheets, emails and paper CVS located in various filing cabinets. Not only have you missed out on the perfect candidate for the role, but by keeping candidates application forms and CV’s in multiple places, how can you ensure that you are complying with GDPR? Reason why: All applicants are in one place allowing you to build a talent pool of already screened candidates. A talented candidate might have just missed the mark on a previous recruitment campaign but could be ideal for a future role so, instead of advertising for a new position, you can simply dip into your talent pool and get in contact with suitable candidates. For more information on how talent pools can help, click here. An Applicant Tracking System through its reporting suite can also give you insights into what is and isn’t working when it comes to your recruitment campaigns. You will be able to pinpoint where your most successful candidates are coming from and what types of profiles you should be looking out for in the future. These insights can then help tailor your next job advert and show you where to advertise, so you can increase the chances of reaching and attracting the most suitable candidates. Furthermore, with an applicant tracking system all data is encrypted and located in one place, making it easy to demonstrate a clear trail of all your candidate data and compliances, helping your organisation to become GDPR compliant, for more information on being GDPR compliant in your hiring process click here. One of the biggest challenges with using a manual recruitment process is that you have very little to no control over who applies for your roles. You need to be able to screen applicants and filter them out without the heartache of telling multiple people, no. By taking all of the above steps, your organisation will be able to maximise the chances of finding better quality candidates that can help add value to your organisation. With an Applicant Tracking System in place, you can reach more skilled candidates, impress like-minded candidates with your employer brand and ensure that every applicant is having a positive candidate journey. Furthermore, you will be able to sort and rank through each applicant with ease, build up relationships and assure quality candidates that they are making the right choice in wanting to work for your organisation. Not only will you be able to simplify the recruitment process but you will have a powerful tool that helps you compete for the best talent that can help your organisation become a successful company. For more information on how Vacancy Filler’s Applicant Tracking System can help you attract and recruit the best talent click here.